Bollywood and beaches have always fascinated tourists to have a visit to this city of dreams. Mumbai is one of the best places to visit in India, being known for its beaches, sightseeing, food, weather and the night that never makes you sleep. 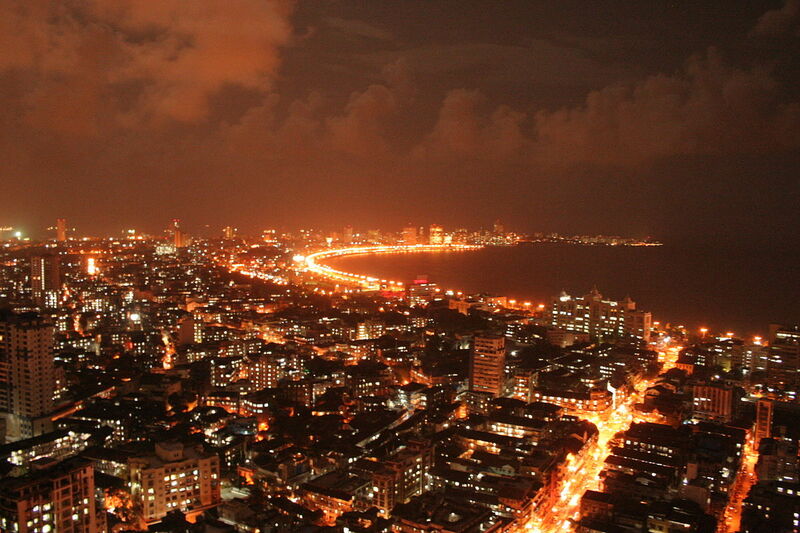 Mumbai has always fascinated its visitors with it’s charm and hospitality. If you are looking for some great facts about Mumbai, you can head over to this article. Here are 20 places in Mumbai if you are a first-time visitor to get a better understanding of this city. Starting from Nariman Point till the end comes the Chowpatty, the marine drive is a long walk arc touching the ocean to gain some fresh oceanic air and some best view of the sea link. The coastline of the Arabian sea has one of the best sunsets which you would never want to miss. Monsoon attracts most of the people here to get themselves sprinkled wet in the weather. Also, the night walk along the marine drive has its own unique feel which is the must visit. Located at the Arabian Sea, this distinguished monument built in 1924 takes you back to the old Mumbai feel. It is one of the popular tourist hubs of Mumbai. You can also catch a ferry to many places, you can also get a glimpse of the sea eagles and birds. The night lights of this place make it more beautiful with the famous Taj hotel behind it. Its impossible to come to visit Mumbai and miss its beautiful beaches and is one of the best sightseeing places in Mumbai. One of the best popular beach of Mumbai is the Juhu beach, you can also relate many movie scenes that is shot here. The sparkly sand makes you come to it and have a lazy lay over it. You can also catch up with some of the popular foods like Sev Puri, Pani Puri, pav bhaji, kulfi, etc. Located on the small island the caves capture the visit of many tourists every year. It is an UNESCO world heritage site made up by rocks and sand by the early man and is one of the left-out places from the medieval India. The architecture, art and culture of gods and activities will you speechless. In the middle of the busy city lies the peaceful sanctuary being a home to much diverse flora and fauna and many wildlife species. You can also enjoy the train ride giving you a journey of its varied plants and species. The must visit is the Kanheri caves and the bus ride to the wildlife space of the sanctuary where you may spot up many wild animals like lions, tigers, leopards, etc. Situated on the Arabian Sea lies a beautiful sculpture dargah of Muslim architecture. People from all the religion come here to seek blessings and to have a look of that place surrounded by the sea. The place can have a view of the Malabar hills, marine drive and sea link. It is one of the richest temple of Mumbai situated in Prabhadevi and is one of the most renowned and magnificent Ganesh temple. It is one of the most frequently visited temple, visitors from all over the place come here to seek its blessings. Located at Gorai, is the global vipassana and serves its best peace and relaxation from the fast running lifestyle. If one wants to seek the art of meditation and peacefulness then this place all that you want, you can also enrol yourself for its meditation courses. It also has a beautiful scenery that freshen ups your mind. It is one of the most crowded place and is a paradise for shopping various things to take along home. You can also get into some food and taste the appetizing food of Mumbai. If you want to have a look of how early age theatres and cinema halls were then, this is the perfect place to visit. It is also a great place to get some good food in Mumbai. It is a small sandy beach located just beside marine drive, this place is a good place to chill and a must go place after visiting marine drive. The beach is one of the most crowded and best beach to grab on with some Mumbai street food and desserts. It is regarded as one of the heritage buildings of Mumbai owing to its gorgeous architecture from the British era. It has galleries, a conservation studio, a visiting exhibition gallery and a seminar room, in the Museum that depicts the old India and its culture. Also known as Chhatrapati Shivaji Maharaj Terminus (CST), it is the main railway station of Mumbai standing from the British era till date. It is a Gothic style of architecture and is declared as world heritage site from UNESCO. It is famous for its architecture and rich history. This street is named so for its fashionable outfit and the trendiest outfit with the cheapest price you can get for. You can also find branded clothes at a down rate. If you know how to bargain, then this place is worth visiting. Situated in south Mumbai, this is a place to promote modern artistic trends in India. The glory of artwork present in this magnetic gallery has drawn millions of visitors and left them awestruck for the rest of their lives. Film Industry is one of the most popular industry where fake props meet reality. Many unrealistic things are organised in a way to show different aspects of the movie and are open to everyone to have a look at that. With one of the beautiful scenery point, this place is granted with its natural beauty. You can have look at its beautifully animal-shaped bushes and play areas for kids. It is also one of the famous picnic spots in Mumbai. A beautiful view of the ocean with the nature is all what can make your day. Yet another beach situated close to Malvani is also one of the famous spots in Mumbai to have a great day. It known for its magnificent sunset and being not that crowded, this beach is the best for spending some relaxing moments with your loved ones. It is one of the oldest aquarium of Mumbai and has about 400 species of fishes residing here. Its main attraction is the 12 ft long tunnel with acrylic glass fitted in 180 degrees while you can also have a close look at the variety of jellyfish. If you want to enjoy some thrill in the city then this place is a must visit, it has many rides that can blow out your terror. Its one of the popular attraction is the ice skating and bowling which makes the place unique. It is a bundle full of fun packaged together for all the age groups. The Basilica of Our Lady of the Mount is an important religious place built in 1640 and has a magnetic unique charm of the Catholic architecture. It is believed to have the healing power to all the sorrow and thus filled with devotees. The Bandra Fair held here is the most beautiful and attracted fair of all the times. These are some places in Mumbai which are a must visit if you are the first time comer to this city and get into its flavors.